Almost every action film has a bike scene. It’s exciting to see the main actor drive under a huge truck, or right between doors that about to close. But this is the real world, and though we likely won’t ever do any stunts like that (or will we?) we do need to make sure we have first time bike insurance to cover anything that comes up. As with car insurance the younger you are the more you will pay. This is due to statistics showing that those who are younger are more likely to get into accidents. And if you have ever driven in any major city that is full of people (Tampa Florida for me) you will tell that most everyone who you see driving recklessly is in their early 20’s or late teens. No matter what age you are if you haven’t been driving long your first time bike insurance could get expensive. Whether you’re 18 and just started riding, or 60 and just started driving. This factor of the insurance is solely based on how long you have been riding. Like being young there is nothing you can do but give it time to pass. Do you use your bike everyday and even longer one weekends? Or, do you only take it out on special occasions? Do you park it on the street next to your house? Or, do you have your bike locked in a garage with an sophisticated alarm system protecting it? All of these things are taken into consideration when the insurance is deciding what your premiums will be on your first time bike insurance. Obviously the less you drive your bike and the more secure it is when not in use the cheaper the premiums will be. One of the fun things about driving is having the ability to drive really fast. However, with that larger engine comes a larger premium. Not only will it be more expensive but if you are young and have little to no driving experience then you may not be able to get insured at all. 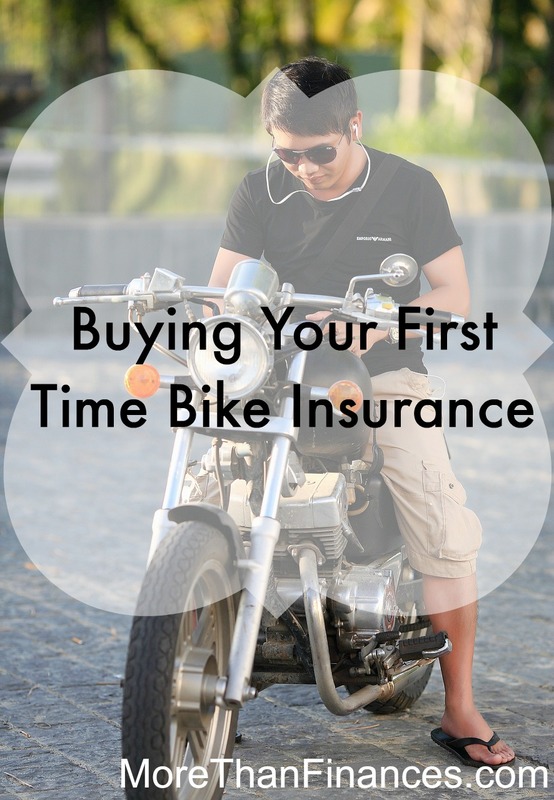 You may be able to add your first time bike insurance to your already existing car insurance. By calling and asking if they can assist you before buying a bike you can make sure that you have insurance and possibly save money. With that in mind it’s important to make sure you have insurance even before you have your first bike. Especially if you’re interested in speed and want a large engine. Once you call and make sure you can get insured then buying your bike at a discount or from a friend is a great option. Also, as you call the insurance make sure you ask them questions. You need to be comfortable with them, price isn’t everything knowing you’ll be treated like a person if you need to file a claim can be worth paying more. For more on insurance and how to pick it out check out these great articles. What factors can affect car insurance quotes?